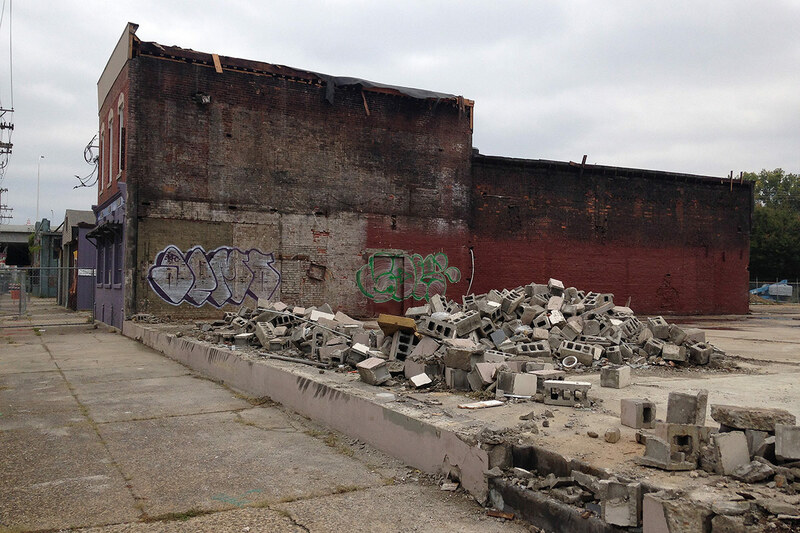 The first buildings on the site of what will become the Main & Clay Apartments have already fallen. 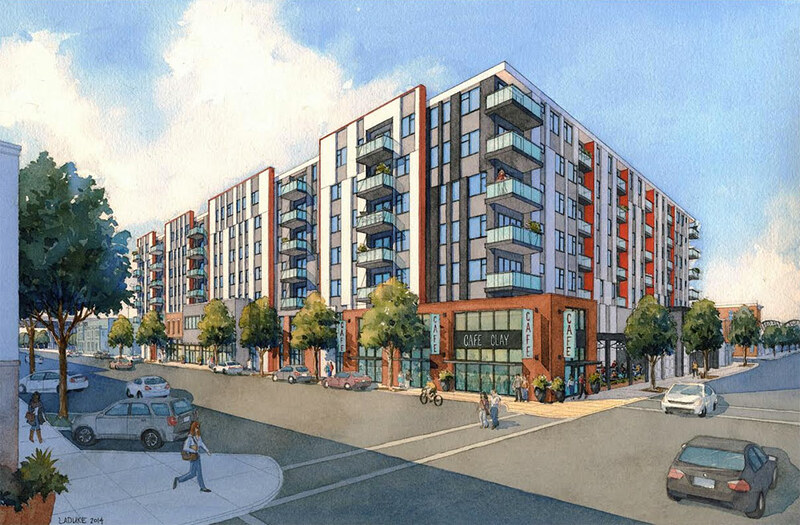 The mixed-use residential building by Nashville’s Bristol Development Group will climb seven stories and house 260 apartments. But first, the development must dig down. 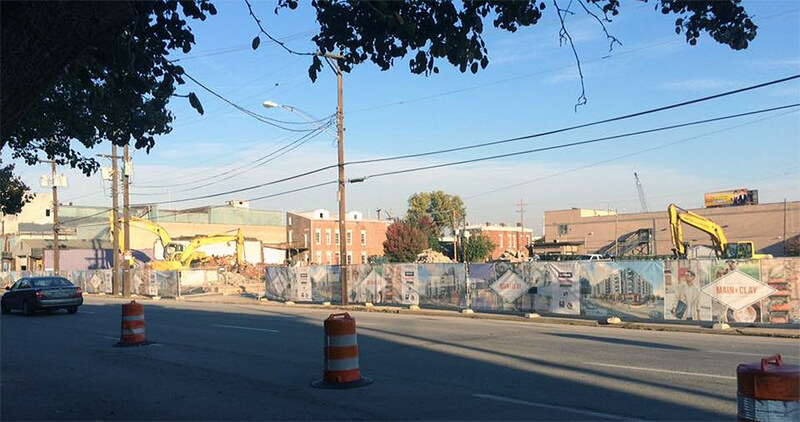 Apartments at the Main & Clay will range from $900 for a 550-square-foot studio to $3,500 for an enormous 1,800-square-foot, three-bedroom unit. The average unit is expected to rent for $1,600. The project will include 260 total apartments. At the sidewalk level, 2,400 square feet of retail space is planned above a 380-car underground parking garage. The project is expected to cost $50 million, of which $4.4 million is public subsidy from a Tax Increment Financing (TIF) district. Main & Clay was designed by Nashville-based Smith Gee Studio. Amenities include an elevated private courtyard with a pool, outdoor kitchens, a pet spa and dog run, and tenant fitness center and lounge. 2400 square feet of first level retail amounts to a Starbucks ….. Mixed income and not so much inward focus and a real design and…… Never mind ……… It’ll look really swell with that boutique hotel. So much for mixed use . But facadomy is alive and well in “historic” ButcheredTown. The previous comment seems unduly negative under these specific circumstances. This is a block that has very little left to save, and there were no “Butchertown-type” buildings on the site. We clamor for more density and more housing downtown, yet some still find a way to complain about an attractive $50 million dollar project doesn’t quite meet their precise expectations. Great points, Jeff Bailey. The complainers used to win every time while the ninety-nine percent of Louisvillians lost another opportunity to improve a neighborhood or the entire city. But, since the bridges project and the KFC Yum! Center, it seems that we are beginning to take back our city from the extremists. I am really excited about the possibilities around this project and the Omni Hotel.